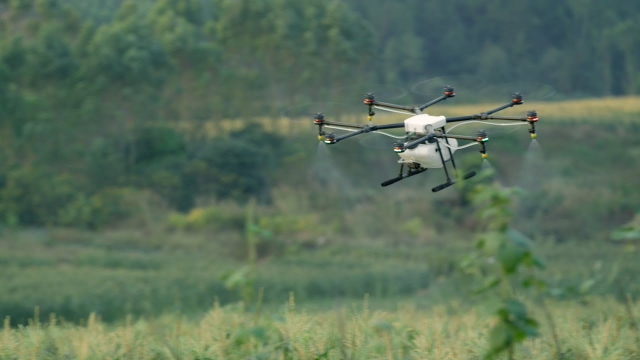 Bring new levels of efficiency, speed and safety to agricultural spraying with the DJI Agras MG-1. Battery life with this type of mission, along with real world durability and payload tank re-fill, will be interesting to see. If they nail it (and they might) it could kill a big part of the full scale aircraft spray industry. Just like they've done to aerial filming/aerial photography. There goes someone's job of spraying crops. So basically the drone is great for police to spray tear gas and pepper spray at riots and crowds. Where's the pizza delivery version? This is awesome! I am going to become a DJI reseller! Why do I have this feeling that DJI will be the first company to introduce flying cars? we're already two years behind Back to the Future's prediction.